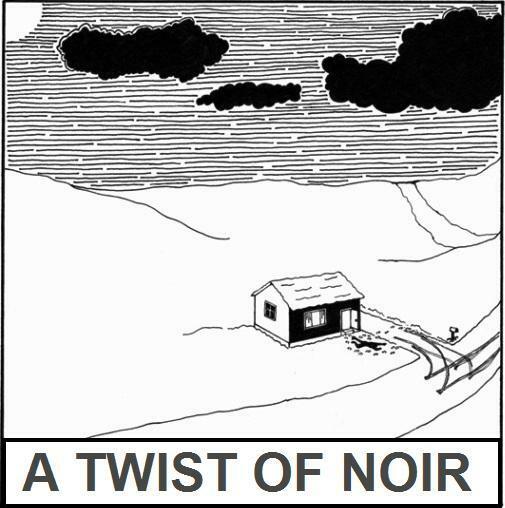 A Twist Of Noir: A Twist Of Noir 510 - Phil Beloin Jr.
AN UNTREATABLE CONDITION - PHIL BELOIN, JR.
“I hear voices in my head, doctor,” I said. He nodded, but I wasn’t sure I could trust him. It was our first appointment. My parents had briefed him. I should have known. They’re all in it together. I looked away, stared at the walls, at the pictures and colors designed to calm the inner beast, but that monster lived in my head, right between my ears, pushing me, pushing me. Maybe this guy wasn’t so bad after all. “What do these voices say exactly?” he asked. I let out a long, slow breath. Finally, somebody got me. I reached over and shut out the light. Then I laid down on my futon and closed my eyes. I’d clean up the mess downstairs tomorrow. BIO: Phil Beloin Jr. writes stories with a twist. His novel, The Big Bad, is published by Hilliard and Harris and available on Amazon.com. This is his third story on A Twist of Noir. Didn't see the twist coming, but in retrospect. you did subtly foreshadow it. Enjoyed it. Thanks. thanks AJ but is isn't Last Rights. That story is brilliant.